I live in Texas, so when I see the words 'yellow rose,' I immediately think of the famed folk song "The Yellow Rose of Texas." This is a film site, of course, not a music site, and so we're talking about Yellow Rose, a film, which was written and directed by first time feature female filmmaker Diane Paragas. Yellow Rose will open the Los Angeles Asian Pacific Film Festival, which kicks off its 35th edition on May 2, 2019. As it happens, the title of the opening night film is no coincidence. 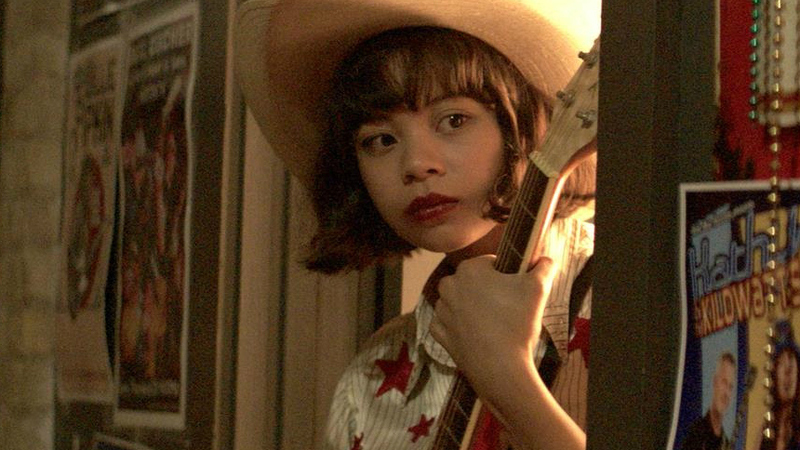 Yellow Rose "tells the story of a headstrong Filipino girl, from a small Texas town" -- aha! -- "fighting to pursue her country music dreams while facing the threat of deportation." The official description continues: "The film stars Tony Award nominee Eva Noblezada, Tony Award winning actress and Grammy nominee Lea Salonga, country music star Dale Watson, Liam Booth, Gustavo Gomez (The Walking Dead), Libby Villari (Boyhood), and Princess Punzalan (Mula Sa Puso), and features original songs written by Watson, Paragas, Noblezada and cast." "Members of the cast and crew will be in attendance for a Q&A following the World Premiere screening. Yellow Rose screens on Opening Night, Thursday, May 2, 2019 at 7PM at the Aratani Theatre at the Japanese American Cultural & Community Center (JACCC) in Little Tokyo, Downtown Los Angeles. "LAAPFF launches the celebration of Asian Pacific Heritage Month through this year's slate of over 100 films from both Asian Pacific American and Asian international artists. For over three decades, the Festival has presented close to 4,000 films by Asian Pacific American and Asian international talent. This year the Festival has over a dozen films from local filmmakers. "LAAPFF will announce its full line up on Monday, April 1, 2019. Visual Communications Member presale ticketing will be available from Monday, April 1st to Friday, April 5th; ticketing for the general public will be available starting Friday, April 5th at 5:00pm PST. "For program information and a complete listing of sponsors and partners, please visit festival.vcmedia.org."